The Tamiya Ball Caster from Tamiya’s educational construction series is a small steel ball that rests on metal rollers inside a plastic housing. The caster can be assembled in two different ways, so that it has a total height of either 25 mm or 35 mm. 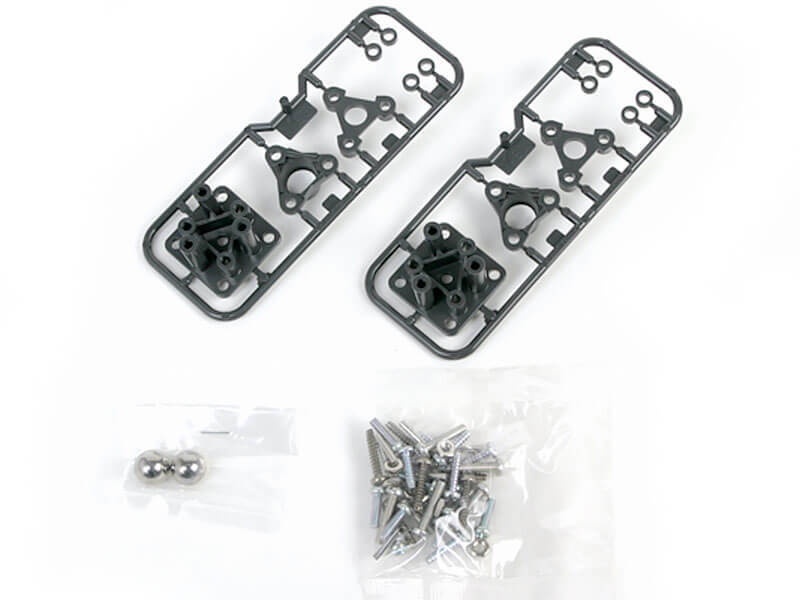 The kit contains two complete ball casters and various types of mounting screws as well as spacers for small height adjustments.